Wisconsin Central #99085 was among the last lot of cabooses ordered by the WC while it was still an independent railroad. This caboose was originally numbered WC #191 when built by Haskell & Barker and delivered to the WC in January 1909. On April 1, 1909, the WC was leased to the MStP&SSteM (Soo Line) for 999 years. 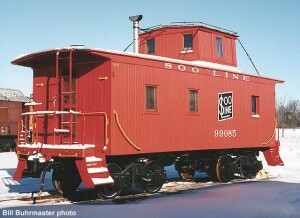 On December 13, 1911, the caboose was renumbered to SOO #99085. 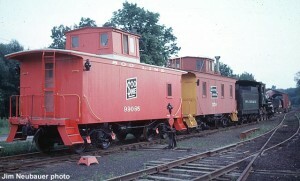 As originally built, this caboose had four windows per side and a very low cupola. The carbody was extensively rebuilt into the single window design characteristic of the AC&F built lot which included the SOO #203 and WC #99115 (both are at Mid-Continent). 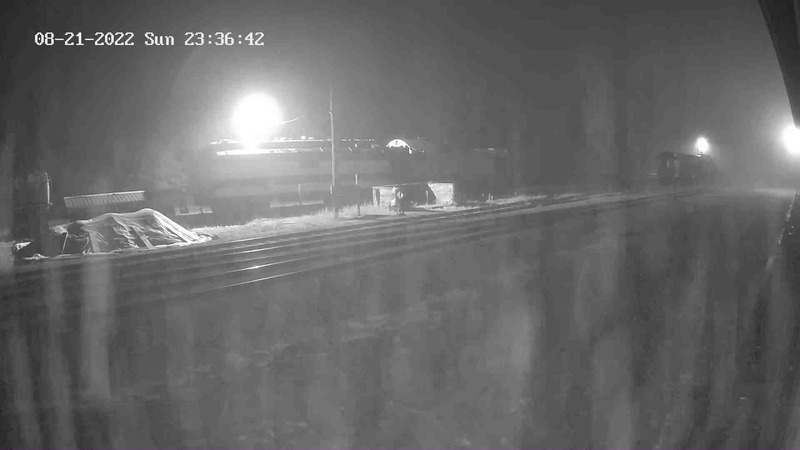 This work was completed at the same time as the SOO renumbering of the caboose. The interior arrangement was also altered at this time to emulate the AC&F design. In the cupola rebuild, #99085 received a single window version. This work was completed on January 4, 1912. #99085’s original underframe construction was wood with truss rods. In December 1925 a steel centersill was applied to the car while the truss rods were retained. The work was done at the company’s North Fond du Lac shops in Wisconsin. #99085 was privately acquired from the Soo Line and moved to Mid-Continent in May 1967. The caboose is presently restored to its mid 1950’s paint and lettering appearance and on public display across from the North Freedom depot. The caboose was purchased by Mid-Continent from its private owner in February 2014.